Those who argue that the Obama Administration’s overall Middle East strategy is a total failure have no sense of strategy themselves and dangerously substitute tactical-here-and-nows and pointless posturing for real strategy (especially Republicans). That’s not to say some of the Obama Administration’s Middle East policies aren’t lacking, but overall the Administration has more progress and sound approaches to point to than failures and mismanagement. Below, all of the Obama Administration’s major Middle East policies are broken down and given a letter grade. Here, then, is a look at all the major efforts of the Obama Administration in the Middle East, and as it covers a lot of territory this has been broken up into three parts, this being Part II and covering the Syrian Civil War. 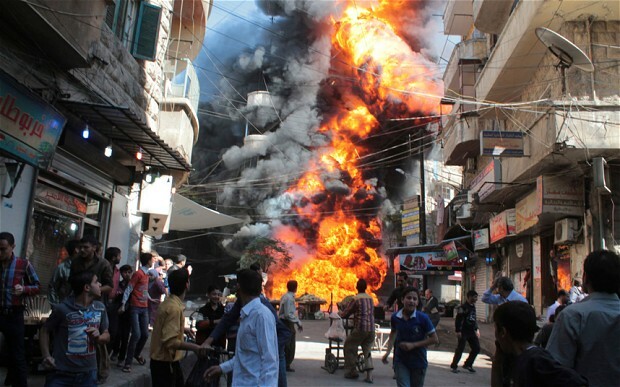 AMMAN — Amidst a sea of Middle Eastern conflicts, the civil war raging in Syria is currently the largest and deadliest. Here, as in other situations, we have a crisis in which we must be careful not to blame Obama too much but must also note the missed opportunities where his substantive leadership could have made a huge difference, though not without some risk involved. 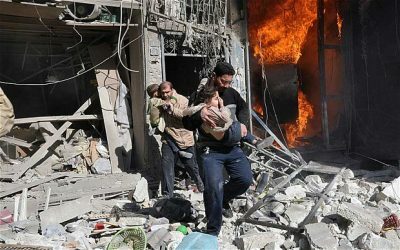 So, right from the start, it must be acknowledged both that America could have done a lot more in regards to Syria, potentially helping to dramatically lessen the violence and perhaps even ending the war on the one hand, but, on the other, that America bears little responsibility for causing or contributing to the overall Syrian tragedy. First, let’s examine the history of this war and the Obama Administration’s response to it, starting from the very beginning. Once upon a time in 2011, there was an uprising in Syria of many of the country’s own people who wanted Syria’s President (dictator) Bashar al-Assad to step down so they could change the system and have more freedom. They were inspired by their Arab brethren in the happier days of the Arab Spring in 2011. This was, generally, a struggle for freedom, representation, human rights, and democracy in a country ruled by an authoritarian, repressive, undemocratic Syrian regime with an Alawite (a word describing a subsect of Shia Islam that is only roughly 12% of Syria’s population) ruling family and many other Alawites at the top, ruling over mostly Sunni Muslims, though the regime and its supporters are by no means exclusively Alawite. While in 2011, people power brought down long-ruling autocrats in Tunisia, Egypt, and Yemen, and American-led NATO intervention rescued a revolution in Libya from massacre and disaster and helped overthrow Libya’s dictator, Muammar el-Qaddafi, Syria had no such luck with its people power or Western intervention. Qaddafi, alone and isolated and ruling over a far smaller population, was a relatively easy target. Compared to Qaddafi’s regime, Assad’s military was much stronger and, unlike Qaddafi’s, had strong patrons in Russia and Iran who would complicate and increase the costs of any Western intervention and made the prospects of any success for the Syrian people on their own quite dim. Some powers talked of intervening in Syria, but with the U.S. signaling no appetite for direct military involvement, no other Western governments put their militaries in action against the Assad regime, nor did any regional governments. Still, Obama did call for Assad to step down in August 2011, and moved to increase sanctions and economic pressure on the regime at the same time. There was also a robust debate within the Obama administration about arming the Syrian rebels. Secretary of Defense Robert Gates, then-CIA chief and later Gates’ successor Leon Panetta, and Secretary of State Hillary Clinton (also former president Bill Clinton) all agreed on arming significant numbers of moderate Syrian rebels, but they were unable to persuade President Obama in the end. If moderate rebels had been robustly supported early in the conflict, when an increasing stream of Syrian Army officers (including generals) and soldiers were defecting to the rebel cause, perhaps the regime could have been brought to its knees and would have been willing to enter serious negotiations; perhaps Assad would have been willing to leave if given immunity. 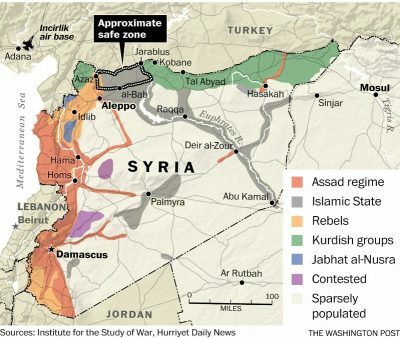 The U.S. and West could have made a huge difference in the conflict with direct intervention by degrading the Assad regime’s military capabilities and limiting the shipments of weapons into Syria with a combination of naval blockades, no-fly-zones, and the U.S. specifically partnering with its allies Iraq and (NATO member) Turkey to use drones, reconnaissance flights, and other high-tech monitoring equipment to lock down Syria’s land borders with both nations. NATO could have played a significant role in such an operation, too, not terribly dissimilar to its role in the operation in Libya. But no serious action was taken along these lines and in this absence of action, into the fray came Islamist extremist jihadists—including ISIS—even more murderous than Assad’s thugs. Suddenly, the moderate homegrown Syrian revolutionary rebels, who were having a difficult enough time holding their own with little international support against Assad’s well-and-Russian-armed forces, found themselves having to compete with and also fight well-armed, well-funded foreign jihadist extremists. Many of the moderate rebels lost heart and quit; still others defected to the more successful and more robustly-backed Islamists. At the same time, other Shiites were coming to the aid of Assad’s Shiite Alawite-led regime: the Iranian government was sending some of its elite military units and leaders, while Lebanese Hezbollah’s well-trained militia forces were also coming and making a big difference in favor of Assad at this time, each supporting and fighting for Assad on Syrian soil. Instead of being supported by the international community and slowly and surely gaining territory, credibility, and influence, the Syrian moderates were themselves losing territory, credibility, and influence to the better-supported Islamists and their more extreme tactics. Almost all the factions became more radicalized, more violent. 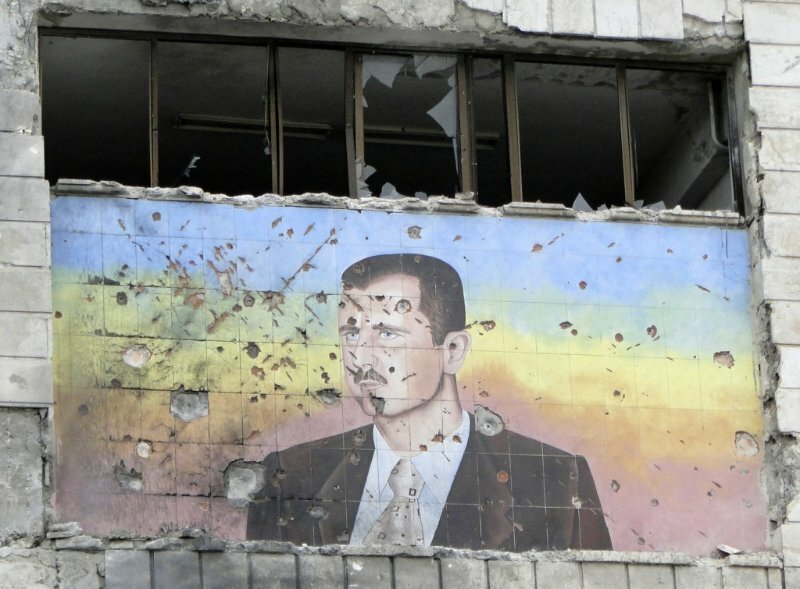 A major attack in July 2012 in Damascus that killed top regime insiders, including the defense minister and Assad’s brother in law—still the most spectacular attack to date carried out against the regime—was claimed by both moderate and extremist rebels, with some noting evidence that pointed to Islamists, and still others saying it was an inside job of the regime itself. Whoever carried it out, after this bombing, the conflict became even more deadly and brutal in Syria, with both 2012 and 2013 each seeing extreme escalations in violence and lethality. Foreign Shiite militias joined the Iranian government’s and Lebanese Hezbollah’s well-trained militia forces (both Shiite as well) already aiding and fighting for Assad in Syria. As the situation kept deteriorating, at some points in 2012 the CIA began helping U.S. allies Turkey, Saudi Arabia, and Qatarvet and identify rebels moderate enough to recommend them for military support and Obama secretly authorized both covert non-lethal support from the U.S. for some Syrian rebels and a program to militarily train some of them, too, though these efforts were to be very limited in nature; even when they were “sharply increased” early and later in 2013, respectively, the programs had been so small to begin with that they still remained very limited. Obama also politically recognized Syria’s main opposition group (the Syrian Opposition/National Coalition) at the end of 2012, though without recognizing it as the legitimate government of Syria. 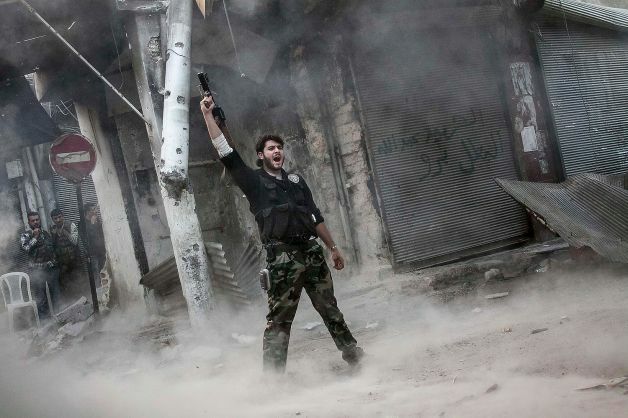 But when the rebels suffered serious losses, in the middle of 2013 the Obama Administration and select Congressional Committees finally decided to have America itself arm Syrian rebels with “lethal military aid,”allowing the CIA to arm vetted Syrian rebels directly (though not with any advanced or heavy weaponry), and those weapons finally began to be delivered at the very end of the summer of 2013. As the conflict continued to worsen and concerns about Assad’s chemical weapons of mass destruction (WMD) program—one of the largest in the world—were raised, Obama even repeatedly and publicly warned Assad that if his regime was found to be readying or using “a whole bunch” of chemical weapons that this would constitute a “red line” that would mean a severe response from the U.S.,even possibly including military action. 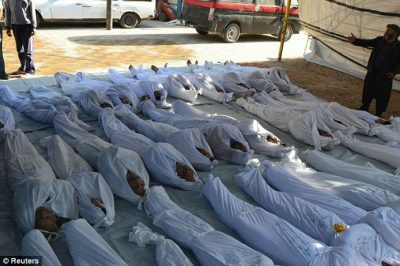 Throughout this period, rumors and reports of the use of chemical weapons use began to trickle out of Syria, culminating in the summer of 2013 with reports of a massive chemical WMD sarin gas attack—the largest chemical attack in the world in a quarter-centurysince Saddam Hussein gassed Iraqi Kurds in 1988—near Damascus. Unlike previous reports, these highlighted an attack that was both of an unprecedented scale for this conflict—it killed about 1,400 people—and confirmed publicly by several major Western governments (including that of the United States), Human Rights Watch, and later by the United Nations. As to who was the culprit, as I pointed out at the time, the signs clearly pointed to elements of the Assad regime carrying out the attack. Horrified by the attack and seeing this “red line” crossed with impunity, first Kerry and then Obama made an impassioned case to the American people that a military response against Assad’s regime was both necessary and proper and began to move the machinery of the American government and its allies towards this end. Yet the American people, weary of war after the disasters of the (W.) Bush Administration, began to see Obama’s moves to engage in limited strikes in Syria as all too similar to Bush’s moves to invade Iraq; they failed to see, as I myself made clear, that Syria 2013 was not Iraq 2003, and that Obama is not Bush, for despite the support of both the top Republican in the U.S. House of Representatives, Speaker of the House John Boehner, and the top Democrat in the same body, Minority Leader Nancy Pelosi, few others of either party in Congress emerged to support Obama’s plan to strike Assad’s regime and far morecame out against it. Even as opposition began growing at home, the House of Commons of the British Parliament shockingly rejected Prime Minister David Cameron’s motion to support pending American strikes and then Cameron himself stated he would respect the vote and not join the U.S. were it to initiate strikes against Assad’s regime. Soon after this setback, opposition to the Obama Administration’s plans for military strikes gained traction very quickly both at home and abroad. With Obama himself never too eager to intervene militarily and with both his own party and America’s most stalwart foreign ally for military interventions uncharacteristically declining to join the fray, Obama publicly announced he would seek Congressional approval. In some ways, this could be considered a welcome move, coming after the Bush Administration often showed little more than contempt for opposition sentiment in Congress after the early months of near unquestioning-support from much of Congress just after the September 11th attacks faded to the more acrimonious, partisan atmosphere that characterized the end of Bush’s first term and all of his second (this poisonous political atmosphere only got worse after Obama was elected). Furthermore, if Obama was able to muster Congressional support, it would empower him that much more in the public and political senses. And yet, Obama’s putting so much power and influence in the hands of Congress on so crucial an action showed that he had learned almost nothing at all from his previous interactions with Congress, whether with insecure Democrats nervous about retaining their seats or with an implacable Tea Party-driven Republican majority in the House that was determined to avoid cooperation with the president at nearly all costs. To allow Congress to vote against his plan was to invite it to be weakened and to drive any international support to significantly lower levels, if not destroying it entirely. That President Obama did not realize that this outcome was far more likely from the beginning reveals a remarkable naïveté for a president in his second term dealing with factions that had more than established who they were and how they would behave. Never mind that Obama was perfectly within his Constitutional and legal rights to do so, and that there are ample precedents in American history dating back to the Administrations of Presidents Adams (for military action short of war) and Jefferson (for military action overseas without Congressional authorization), our second and third presidents, respectively, because being undermined in such a serious way politically would itself carry grave real-world consequences. Obama’s s attempt to rally support failed miserably, as in the days that followed public opposition in the U.S. became widespread, vocal, and bipartisan. Obama’s idealistic attempt to engage the elected representatives of the people weakened his position considerably, for, despite some support from the most relevant Committees in Congress, the overall trends in both the House and the Senate showed that the Obama Administration had little to no chance of either the full House of the full Senate passing a resolution either approving or authorizing military action in Syria against Assad. Basically, instead of leading decisively, Obama decided to say “wait, let’s have a discussion” at this critical juncture after there had already been weeks of mulling over what to do, preferring to pass at least some of the responsibility and maybe even some of the authority from the Executive Branch to the Legislative Branch. Even the rebels and the government in Syria both strangely united in questioning this move of Obama’s. Again, such an action is one that works better in the abstract than in practice, and it was at such a juncture, with the very presidency stalling and losing altitude on such a critical military issue, that Russia and Vladimir Putin waded into the fray, seizing on a single comment by Secretary of State John Kerry—that Assad could avoid strikes if he gave up his chemical WMD—to propose a plan facilitate just that. This was, to use my own label, after Russia’s long stint as the obstructionist Tea Party of international politics and also after Putin’s farcical, blithely hypocritical New York Times op-ed calling for a diplomatic, non-violent solution even though, less than a year later, he sent Russian troops pouring into Ukraine, when violence as a means suited his ends there, and did the same five years earlier in Georgia. Still, while virtually anything that would significantly reduce Assad’s WMD stockpile has to be objectively seen as a positive, on one level the ensuing deal left Obama and the U.S presidency significantly emasculated. On another level, it was clear that the threat of U.S. strikes was the only thing that prodded Russia into doing anything that was either significant or productive in relation to this conflict. And yet, as I wrote at the time, on another, grander level, Putin’s move was entirely in his self-interest, as the deal itself was something of an insurance policy he took out on Assad’s regime, a significant ally of Russia’s that was both a major buyer of Russian arms and the host of Russia’s only military base outside of the former Soviet Union. In any event, after Obama declined to strike the Assad regime and Russia’s proposal—which had become the UN’s—was accepted by Syria, seeing Syria’s 1,300 tons of declared chemical weapons painstakingly removed from Syria(there is now, disturbingly, new evidence that Assad may have kept some undeclared top-grade chemical WMD hidden from inspectors to be used in more desperate times), what I predicted—that this would do nothing to stem the drivers of the conflict and that the war in Syria would only continue and continue to get worse like some sort of vortex—came to pass, with 2014 being the deadliest year of the conflict thus far and no end in sight. Now, Syria truly is a vortex, becoming inflated and conflated with so many other conflicts that it has metastasized into one big megaconflict. 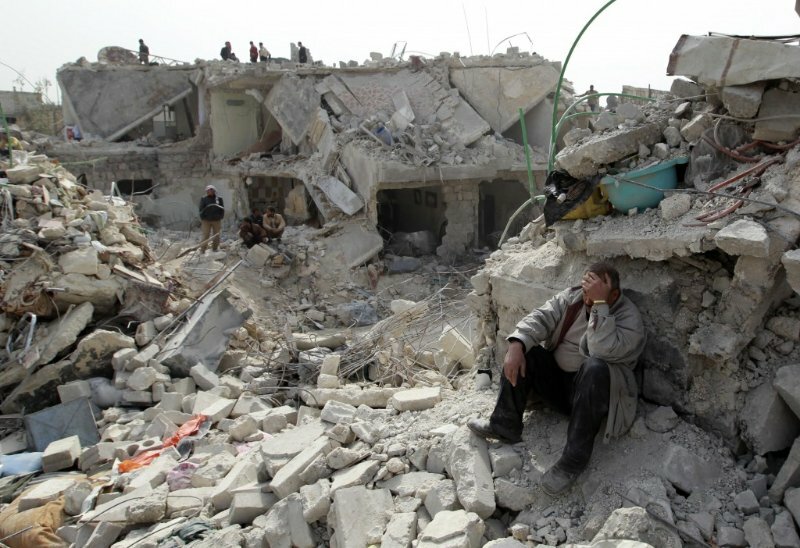 Syria’s neighbors, as I predicted in the fall of 2013, are also suffering from an increasingly destabilizing burden as a result of the conflict—none more so than Iraq as ISIS broke off from al-Qaeda and proceeded to shock the world with its march from Syria into Iraq in 2014—and the more than four million registered refugees it has produced. Still, as mentioned, even before the chemical weapons attacks, the Obama Administration had signaled and had taken steps—albeit very miniscule ones—to support rebels fighting to overthrow Assad’s regime. 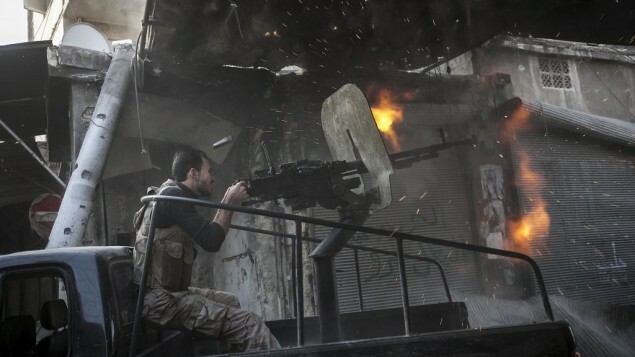 Yet, in addition to Obama’s natural caution and the lack of political and public support for robust involvement in Syria, a classified 2012-2013 CIA study found very little success with past CIA covert armings of rebel groups in various conflicts over nearly seventy years unless Americans were on the ground working with rebels where they were fighting (something the Obama Administration was clear it wanted to avoid at the time); this means that even up through the publishing of this article at the beginning of August 2015, the Administration’s anti-Assad efforts when it comes to supporting rebels actively fighting against Assad have been half-hearted, tepid, and ineffective at best. 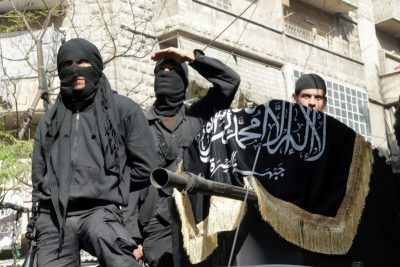 As the CIA training program for vetted moderate rebels encountered difficulties, stalled, produced limited results, and is now having a significant part of its funding cut, the Obama Administration began to shift responsibility to the U.S. Military by giving it a new program to train Syrian rebels; but whereas the CIA program was concocted to produce forces to fight Assad’s regime, the U.S. Military’s program will focus on producing fighters to go after ISIS. Obama asked Congress to approve $500 million in funding for the new program in the summer of 2014, and by the end of the year, Congress hadapproved an over $720 million package for the program, demonstrating both the shift in the U.S. view from Assad to ISIS as the major threat and the seriousness with which ISIS was being viewed (Assad may even be playing into this shift by deliberately aiding ISIS in an effort to empower the terrorist group as a way to further deflect Western attention away from itself to ISIS and stoke further fears of what would happen should the Assad regime fall, making leaders more reluctant to push for his ouster). The military training program began this spring, but as of early July had only managed to train less than sixty rebels, a paltry figure by any standards. To make matters worse, even before the end of July, al-Qaeda’s affiliate in Syria and ISIS rival, Jabhat al-Nusra/the Nusra Front, had embarrassingly captured one of the U.S-trained-rebels’ senior commanders and his deputy and then later attacked the U.S.-trained rebel group. Anotherembarrassing development is that the Assad regime has been resorting to theregular use of makeshift chemical weapons—the regime’s infamous barrel bombswith chlorine gas added to their payload—against civilians. While these more improvised chlorine chemical weapons do not reach the level of lethality of the WMD attack from the summer of 2013 (an attack that multiple investigations confirmed involved highly-deadly sarin gas), the blatant and repeated violation of the international norm against the use of chemical weapons without any serious consequences is a development that begs their future use by both Assad’s regime and others who share its lack of concern for international norms and human life. Additionally, just over the past week, after Turkey’s long opposition to Assad by way of supporting Islamist extremists—including, at least tacitly (and sometimes more directly), ISIS and the al-Qaeda-affiliated Nusra Front—backfired recently with the worst terrorist attack in Turkey against civilians in years and carried out by a Turkish citizen with reported tied to ISIS, there is, apparently, a new level of cooperation between Turkey and the United States, including plans to establish a “safe zone” corridor in Syria along the country’s border with Turkey using American air power and both Turkish and rebel ground forces. The planreportedly calls for ISIS to be cleared from a zone inside Syria extending sixty miles from Turkey’s border and which would also serve as a safe haven for civilians, though U.S. officials later denied such a plan has been agreed upon. I called for at least a similar robust corridor back in the fall of 2013 as a starting point from which moderate rebels, supported by the West, could further expand control and as one of the only realistic ways for an intervention to have an impact on driving down the drivers of conflict and moving in any way towards an end to the Syrian Civil war and the mass killing associated with it (as neither Assad’s chemical weapons nor ISIS are the reasons behind the Syrian Civil War and its perpetuation). However, it remains to be seen if this talk will turn into action and enough of such action to make a real difference. Especially with Obama close to leaving office and an election season well underway, there are reasons to doubt this safe corridor will actually come into being anytime soon if at all, at least in a significant way. Then again, Obama has shown a boldness and a willingness to take the risks required for big payoffs in recent months, most especially withCuba and Iran, so such talk should also not be immediately written off. Furthermore, there is at least a chance that the recent agreement with Iran will spur further cooperation between Iran and the United States, with Syria perhaps being the most pressing and obvious case for such cooperation apart from the problem of ISIS. Only time will tell, especially given the conflicting messages coming out of media and official sources. But if some sort of a safe-zone is established by two (or more) NATO countries like the U.S. and Turkey, it could be a game changer for Assad, and not to his benefit. If such action expands, thesuccessful NATO air-war in Kosovo could be seen as something of a loose blueprint. A Syria free of Assad and with ISIS tamed could be a starting point for peace and a new future for the Syrian people. What is happening now is a starting point for nothing but death and destruction. While the U.S. may be significantly and substantively stepping up the fight against ISIS in Syria, having now been directly striking ISIS targets inside Syria with a respectable-sized coalition of air power for some time (and reportedly maybe indirectly communicating with Assad’s regime about those strikes), and while talk of creating a humanitarian corridor is certainly welcome, even allowing for those developments, there is very little of substance the U.S. has done to stem the long-term drivers of the Syrian Civil War and thus, very little it has done little to bring about an end to this conflict and a stop to the mass killing involved with it. As peace talks pushed by the U.S. between the regime and the opposition, each with goals wholly incompatible to the other, have accomplished nothing and seem all but certain to go nowhere for the foreseeable future, the focus on ISIS and on chemical weapons has obscured the fact that the Assad regime and the war in general slaughters civilians on a mass scale and that little has been done to stop this by anyone. Having traced the Syrian Civil War from its inception through now and the U.S. role (or lack thereof) in it during this same period, how the U.S. could even be judged or graded on its involvement must also be discussed. Since the United States: 1.) was not, an occupying power in Syria—like France was was from the end of WWI through 1946—and bears no serious responsibility for the initial homegrown protests in Syria that prompted a brutal, murderous government response that, in turn, provoked an uprising which led to the Syrian Civil War, 2.) was not even not the among first Western nations formally recognizing the opposition, 3.) 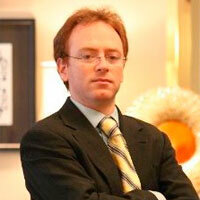 has been very lightly involved compared withother major international meddlers in this conflict (e.g. Russia, Iran, Hezbollah, the Gulf states…), and 4.) since the overall post-2003 Iraq mess, for which the U.S. does bear a majority of overall responsibility, was actually at its best levels of security all throughout the first two years of the protests/fighting in Syria, we cannot even begin to argue that the U.S. destabilizing Iraq is one of the major reasons why the Syrian Civil War got so out of control. If anything, the situation in Syria eventually did much more to destabilize Iraq than the other way around. That is no to say that our actions in Libya (which will be discussed in Part III) did not possibly serve to foster a hope within dissident Syrians that the U.S./NATO/the West would intervene on their behalf, but using that possibility to assign major blame to the U.S. for Syria’s conflict falls far short of a logical conclusion. However, as demonstrated, the U.S. had major opportunities to help make major differences and assist the Syrian people and their homegrown revolutionaries in overthrowing Assad. This the U.S. (and the world) declined to do, except in only very minor ways and quite belatedly, making the war in Syria a heavyweight fight between Ba’athist authoritarianism and jihadist theocracy, with the local Syrian moderates being left to waste away in the face of multiple competing factions and multiple threats. As in other relatively recent situations of mass killing (e.g.,Rwanda, Bosnia, the Congo, the ongoing genocide in Darfur), it is disappointing that, absent U.S. leadership, no other nation stepped up to lead and significantly help the people (in this case local, moderate rebels), and that so many peoplehave, are, and will continue to die as a result, so the blame for inaction on Syria is hardly on the U.S. alone. But especially after Obama’s waffling and inaction on his chemical weapons “red line” (a true low point of Obama’s presidency, which even his then-Secretary of Defense Leon Panetta acknowledges was a huge mistake) and after Russia’s Syrian WMD deal, Assad has felt secure and undaunted when it comes to the West, while the extremist jihadists are ascendant at the expense of the moderate rebels as much as at the expense of the regime, if not more so. And it seems, sadly, that, without U.S. leadership, there is no end to this brutal war in sight. But with less than eighteen months left in Obama’s presidency, and with ISIS now being the priority target before Assad (though Obama reiterated earlier in July that it still his and the U.S. Government’s official position that Assad needs to step down), it is very unlikely that Assad will be gone before Obama leaves office in January 2017 or anytime soon after that, given the lack of real action the U.S. and other world powers have taken to bring this about. Obama’s current Secretary of Defense, Ashton Carter, bluntly admitted this recently during a Senate hearing. Still, the new U.S. training program for moderate rebels and new talk of a “safe zone” should not be prematurely dismissed, although nor, conversely, should any chicks be counted before the eggs are hatched. But one final point must also be made: given America’s recent decade-and-then-some of misadventures, Obama does deserve some credit for not inserting America in a huge, destructive, or counterproductive way into the morass of the Syrian Civil War. For these reasons, the Obama Administration cannot be given lower than a C on Syria because, as discussed, the U.S. has not been a major player in Syria historically or recently and therefore cannot be said to be one those parties most at fault for the creation or perpetuation of the Syrian Civil War or its frightening metastasization and mass casualties totaling nearly a quarter of a million killed. Furthermore, contrary to recent years, the U.S. now has avoided inserting itself blunderingly and destructively into a major quicksand-like ground role in the war. It also avoided its Cold War modus operandi of blindly aiding extremist groups killing many civilians and committing many atrocities. So, to its credit, the Administration avoiding a repeat of Iraq in 2003 as well as many of America’s misadventures from the Cold War. Yet so much more could have been done to mitigate or possibly end the war over the last four years, so many tens of thousands (or more) of lives could have been saved, and though the U.S. is far from alone in being blamed for inaction, it still could have done so much more than the very, very little it ended up doing, its embarrassing “red line” momentperhaps the most obvious example of this, when the correct and better arguments for intervention quickly fell to the side without the wind of political will to keep them aloft. To be fair to the Obama Administration, these winds of political will were absent from all significant concerned parties, with the U.S. hardly being the party with either the most responsibility to act or the most interests at stake. While recent reports suggest a very belated better-far-too-late-than-never increase in efforts to help moderate rebels, the results and the seriousness of these efforts remain to be seen, and as moderate rebels generally stand now, they have been all but pushed aside and are languishing in near-irrelevance as the conflict has devolved mainly into a conflict between Assad’s autocratic, oppressive regime and Islamist extremists intent on building a caliphate. So, even as the Administration cannot be given lower than a C, it also cannot be given higher than a C. Thus, an “average” grade of C it is, with + being added for the more recent months on the hope that recent moves, deliberations, and talk prove more fruitful and productive than the meager and disappointing efforts of the Obama Administration thus far.